Gauteng Health MEC Gwen Ramokgopa hopes to delay payment of damages in a landmark medical negligence case. By SASHA STEVENSON. On Thursday 17 August 2017 the Constitutional Court will hear the case of MEC for Health and Social Development of the Gauteng Government v Dumile Judith Zulu obo Wandile Maqwawe Zulu. The case concerns the payment of damages following brain damage suffered by Wandile Zulu due to the negligence of staff at Chris Hani Baragwanath Hospital at the time of Wandile’s birth.?? Medical negligence cases do not often reach the Constitutional Court. In this case, the MEC was unsuccessful in the High Court and the Supreme Court of Appeal and now makes a final appeal to the Constitutional Court. ? ?The arguments raised by the Gauteng MEC for Health in this case are not new – the MEC has unsuccessfully raised similar arguments in previous cases. However, the issue of medical negligence and medical negligence claims is an important one and this case comes at a time when the South African Law Reform Commission is investigating medico-legal claims against the State, following requests that it do so by the Minister of Health and the Minister of Justice and Constitutional Development. More information on the investigation can be found here. ? ?There are two major issues in the Zulu case: ? ?First, the MEC has admitted liability for damages but argues that she should be able to pay damages for medical expenses faced by Wandile as the costs are incurred, rather than in one lump sum. This would give the MEC the ability to approve or not approve payment, on production of a quotation, at the time that a healthcare service is required. The MEC has argued that the law already allows for such arrangements, in that the law allows for the payment of damages other than by payment of money, but alternatively that the law should be developed to allow payment in this way. ?? In the High Court, the MEC argued that requiring her to make lump sum payments in cases of medical negligence hinders the Gauteng Department of Health’s ability to ensure access to healthcare services for the population at large because of the significant financial burden on the State of such payments. The High Court and Supreme Court of Appeal found that allowing such an arrangement would be a significant change to the “once and for all” rule which requires that a claimant must claim all damages arising from a single cause of action in the same action against the opposing party. Such a change could not be made by the judiciary. In addition, allowing for payment 30 days after production of a quotation (not an invoice) for healthcare services to be provided creates too many uncertainties and difficulties for the claimant if Wandile required care as a matter of urgency. It also gives the MEC the power to reject a claim, which would then require further litigation to compel the MEC to accept the quotation. ? ?On these grounds, the High Court and Supreme Court of Appeal rejected the arguments of the MEC.?? Second, the MEC argued in both the High Court and the Supreme Court of Appeal that damages for medical expenses should be excluded from contingency agreements between attorneys and their clients. This means that attorneys should not be able to claim a portion of the damages paid to claimants for the purposes of covering their medical expenses. This, the MEC argued, was because allowing for the medical expenses portion to form part of the damages award that is subject to the contingency fee agreement would mean that the funds provided for medical expenses would run out, which is prejudicial to Wandile. In addition, when Wandile accessed services at public health facilities following the exhaustion of funds, the government would, in effect, have paid for the medical expenses twice. ?? The High Court and Supreme Court of Appeal also rejected this argument, noting that the court cannot make such an order given the clear language of the legislation relating to contingency fees and that it is only through access to the legal services of the lawyer that Wandile’s claim for medical expenses could be realised. While the MEC seeks to appeal the whole of the decision of the Supreme Court of Appeal to the Constitutional Court, she does not appear to be making argument on this issue before the Constitutional Court. These large numbers are not confined to Gauteng. It is clear, therefore, that Gauteng and the rest of the country have a serious problem when it comes to medical negligence and medical negligence claims. 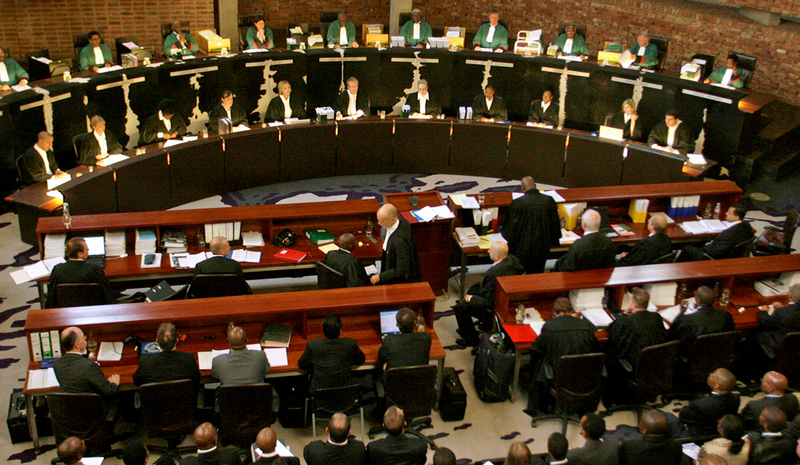 Indeed, the MECs for Health in the Western Cape and Eastern Cape have intervened as amici in this case to convince the court not to make any findings that would impact on cases being heard in other courts in which arguments being made by government are different but also seek changes to the medico-legal claims system.